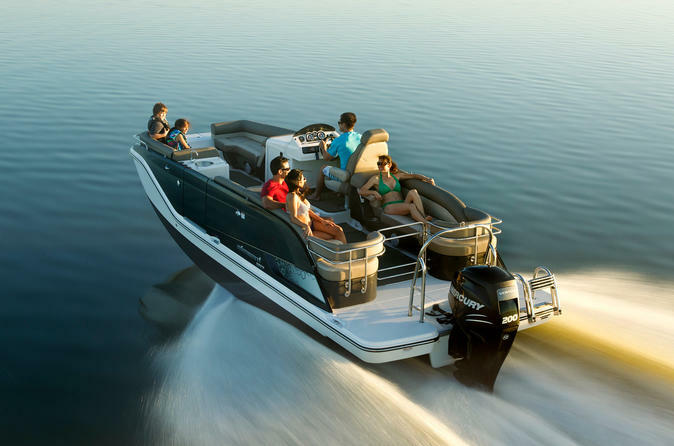 Treat yourself to some good times with friends and family or between collegues on the water. To discover the city of Montreal in a different way or to have a pick-nique on the waves our luxurious and comfortable boats will let you enjoy the St-Laurence gulf. Food and beverages are permitted on board. Tour of 45 minutes or 90 minutes on the majestic St_Laurence. Incredible view of Montréal,Habitat 67, St-Helene island, Notre-Dame island, the Biosphère, the clock tower, la Ronde and the Jacques-Cartier bridge. Whether you are yourself, in a couple or just with friends and family, you will appreciate the ride. This outting includes the captain, insurances and security equipement. Beverages and food are permitted on board. Upon your arrival at our boat reception, the captain will give you a short boating safety before departure. After briefing, the captain will suggest you different place to go. You can navigate for a tour of the old port and after, take off on the Saint Lawrence River and discover Montreal on an exhilarating experience! After passing under the Concorde bridge, you will go near the habitat 67 and the world famous internal surf wave. After that, the tour will take you to the south shore of St-Helene island to admire the biosphere. And finally, after visiting the La Ronde harbour, you will pass under the Jacques-Cartier Bridge with a spectacular view of Montreal and the Clock tower. The private tour includes the captain. You must be ready 20 minutes before your booked departure time.